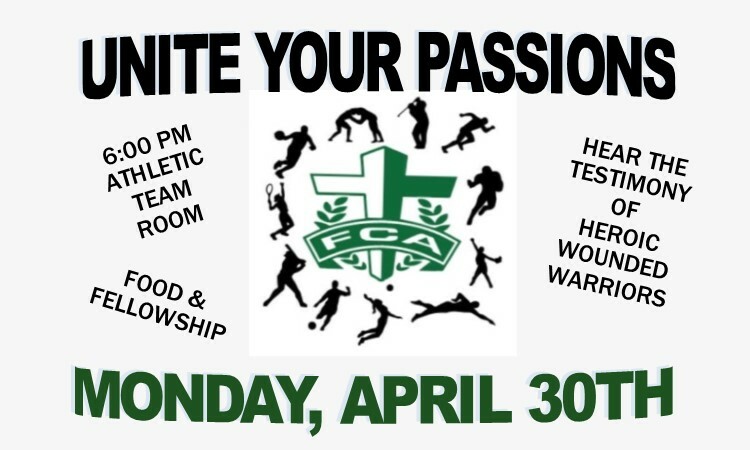 April 15, 2018 – Come to the last Fellowship of Christian Athletes (FCA) meeting of the year on Monday, April 30 @ 6:00 p.m. Come for food, fellowship, and to hear the testimony of some wounded warriors! You won’t want to miss these inspirational speakers! Meet in the Athletic Team Room (near the Football Field entrance).